Bright round highs and warm low end. 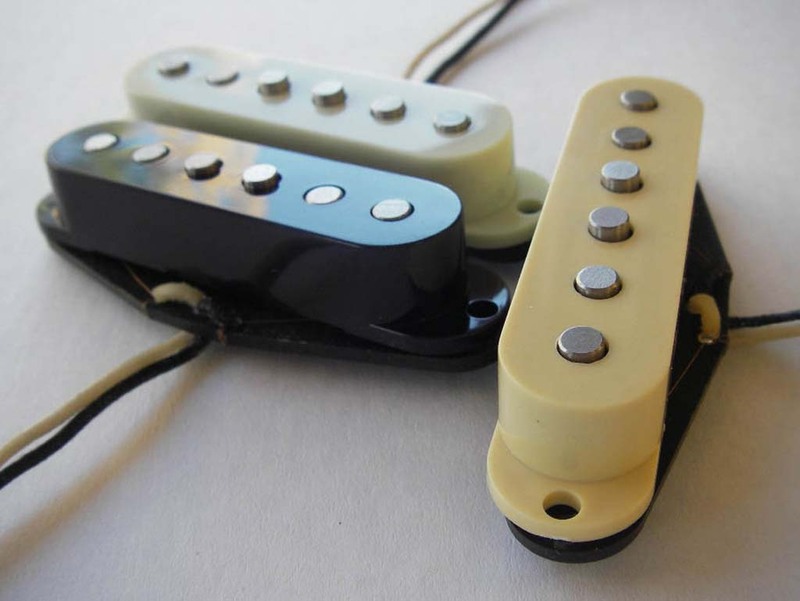 The set uses high quality AlNiCo5 rod magnets gaussed to specific strength taken from original -63 Strat pickups. Handwound with Heavy Formvar Awg42 magnet wire. 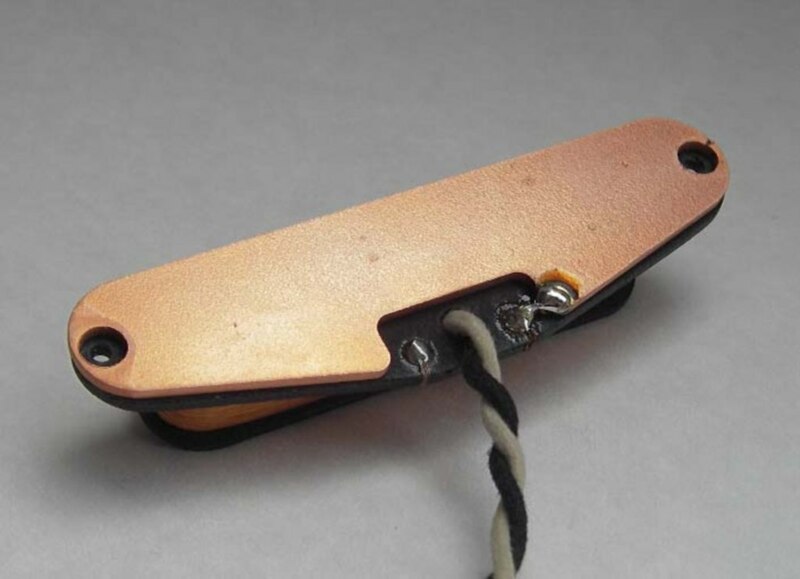 -Hand wound using winding pattern found on early -60's pre CBS pickup. -Standard or precise pole piece spacing. 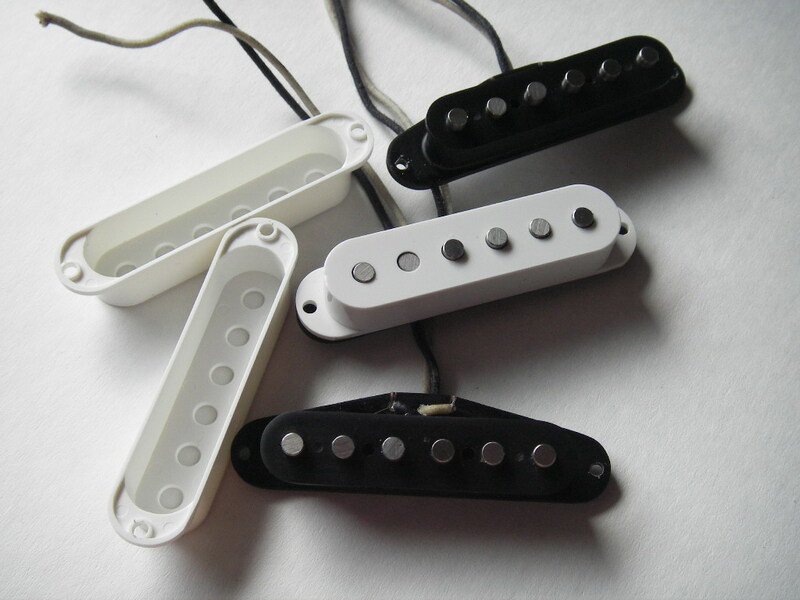 -A hot bridge pickup (7.0 K) available. 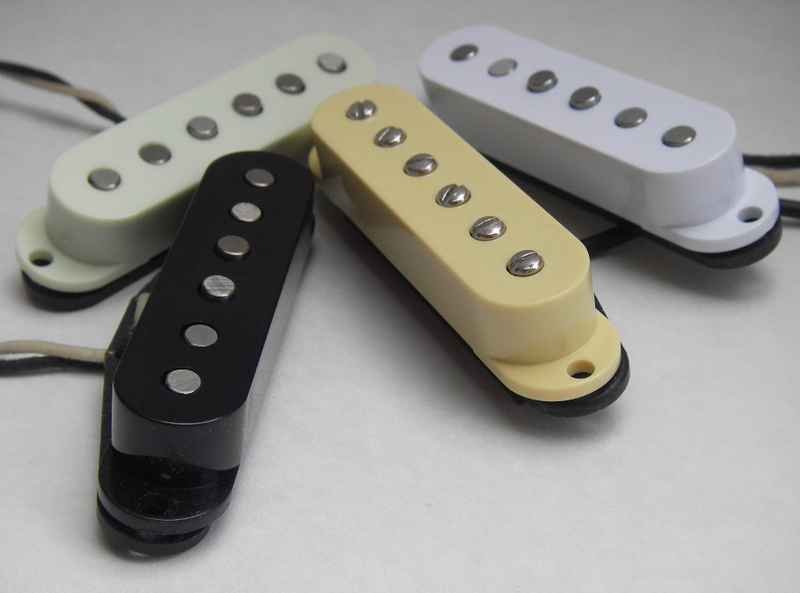 -A steel baseplate for bridge pickup available.